Until you have been broken beyond belief and need a miracle for your soul. Until you have betrayed a loved one and cannot bring them back. Until you have befriended every darkness and are desprate for the light. That's when God's relentless, amazing, very personalized grace finds you. It reached a slave trader onboard a ship raiding Africa's coast in March 1748. He later gave the world its most beloved hymn. It struck the Christian church's most treacherous enemy on a Damascus road in A.D. 45...and he became the gospel's greatest messenger. 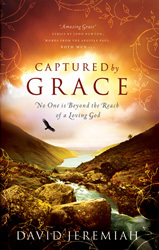 Encountering God's grace changes lives forever. 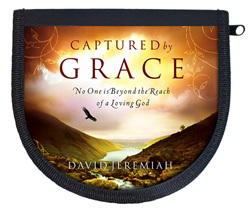 Let Dr. Jeremiah show you how the transforming mercy that captured songwriter John Newton and the apostle Paul can awaken within you a fresh experience of the God who loves you fearlessly and pursues you with abandon. 216 pages. 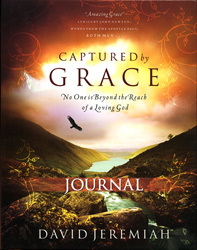 Captured by Grace is all about the multifaceted jewel of grace.